The trade organization Airlines for America (A4A) has turned to crowdsourcing in an effort to take on long TSA security lines. Last week, A4A went live with IHateTheWait.com, which encourages people to tweet or post Instagram photos of excessive security lines. The site, said A4A spokesman Vaughn Jennings, is designed to raise awareness of the issue while giving both passengers and the TSA a heads-up on trouble spots. 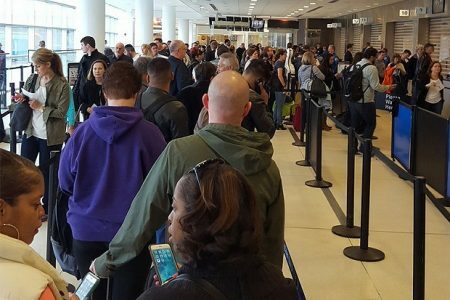 “The Department of Transportation’s benchmark of the maximum acceptable wait time is 29 minutes, but we are seeing lines that go 60 or 90 minutes at some major airports,” Jennings said. “That’s why we are doing everything we can to help make the process more efficient for passengers and the TSA alike.” Airports, airlines and the federal officials fear that lines will only get worse once the summer travel season begins. To read more at Travel Weekly, click here.